Rhonda Jackson Joseph, a writer, editor, family woman, and educator from Texas imports in her online biography that the most intense, physical experiences she's had has prompted her foray into horror writing. It's no surprise that managing the unpleasant aspects of the human condition is sometimes best rectified by an investigation of why horror makes us tick. With published short story titles like “A Woman’s Work,” “To Give Her Whatsoever She May Ask,” and “Mama’s Babies,” is where Rhonda's intuitive nature in gender and reproduction as tangible terror sparkles. Rhonda's critical analysis gets into Black femininity, vampires, and her fascination with the present-absence of Black femininity in Get Out. With this new knowledge in horror scholarship, Rhonda's been recognized on an international scale and has presented her researched theories across the globe. When her bags are unpacked, she's serving as an assistant professor of English at Lone Star College. 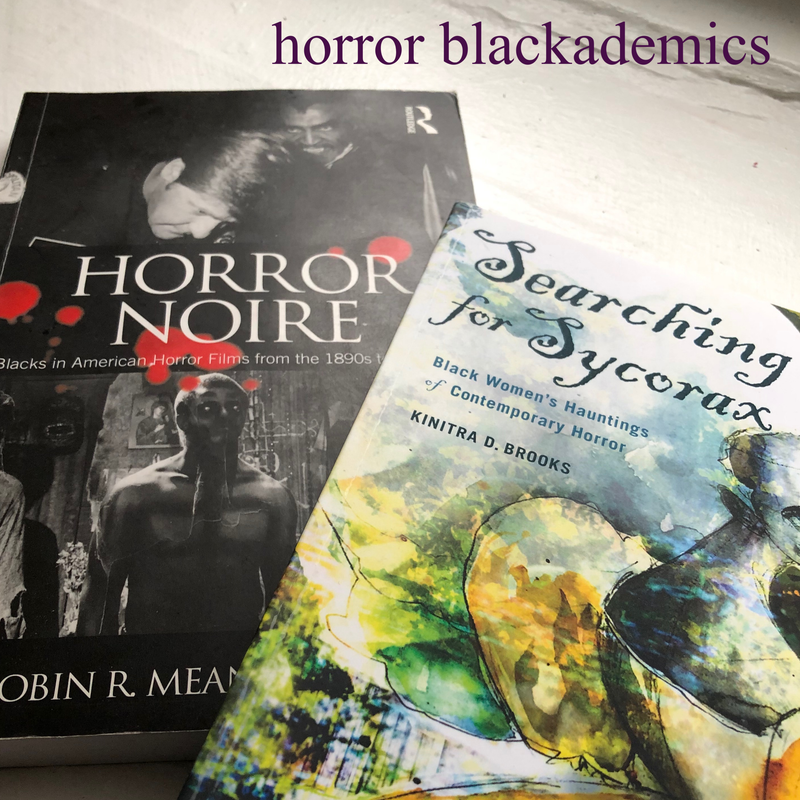 Lucky for us, Rhonda was eager to discuss her love of horror combined with the importance of representation that extends to both fictional characters and real people that have provided the inspiration she found to confidently call herself a 'horror blackademic'. What were some of your favorite movies, television series, or novels that could be considered horror that you enjoyed as a child and would consider to be formative to your experience/work as a horror fan? I was totally a weird kid who relished in the Universal classic monster movies and re-runs of The Twilight Zone, Night Gallery, and The Outer Limits. I read Stephen King’s Carrie at a really, really young age, and King’s writing helped to solidify the idea that I would be a horror writer too. The most influential book that shaped me as a horror fan and writer though was The Holy Bible. I grew up southern Baptist and I was always fascinated by the spirits and monsters and demons in this book. Especially intriguing is the vivid imagery, such as in the story of King Solomon where he suggests cutting a baby in half and the Red Sea crashing down on the Egyptians after the Israelites had crossed into safety. These stories are terrifying! My particular style of horror writing as I consider myself mostly a short story writer, was largely informed by King and the anthology type television series and movies that played through the 80's. Besides the re-runs of the black and white series’, I would watch every episode of Tales from the Crypt, Tales from the Darkside, and Monsters. My favorite movies were Tales from the Crypt and the Creepshow movies. The anthology format speaks to the writer in me who often envisions characters in their stories in a sort of vignette style. Talk a little about your academic career that lead to a focus in horror. What has been your experience in academia writing/talking about horror as a serious study amongst your peers and how have you been able to connect with others through your work? I never really knew being a horror academic was really a thing that I could do. I really am an accidental horror blackademic. I was always a creative writer first. In my graduate program at Seton Hill University, I worked with one particular horror writer who was also a horror academic, Dr. Michael Arnzen, but it never occurred to me that I could do what he was doing in writing creatively and academically about horror. Honestly, I just wasn’t too sure about academia as a whole. I knew I wanted to try my hand at teaching first, just to see if I would even like it. Then I met Dr. Kinitra Brooks at the World Horror Convention in New Orleans in 2013 and my whole world changed. I hadn’t yet started teaching and was scheduled to get my MFA at the end of that June when I met her. I saw her in the hotel foyer and knew I wanted to meet her, if only for the fact that she was beautiful and was another black woman at the conference. When we started to talk, I learned that she was not only a horror fan but she also wrote in the academic arena about horror and black women. Totally impressed, I went back to my hotel room and Googled her and found her body of work. That was the first time I began to think I could possibly do something like that, too. Once I started to teach as an adjunct, I ran into another academic who asked me what my academic specialty was. I had no idea. I knew I loved to write and I knew I loved horror. 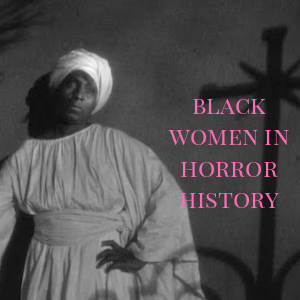 I also understood that, in following Dr. Brooks’ work, there wasn’t a ton of academic scholarship that focused on horror and black femininity. 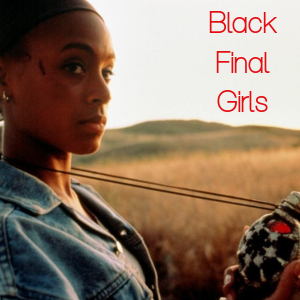 Having learned a long time ago that all things happen for a reason, I chalked up these occurrences to The Universe telling me this was the specific hole in academia where I might find my own fit, writing about and researching black femininity as it relates to the horror genre. While doing your research, what did you conclude about “the absence of black femininity in vampire culture”? Was there a particular movie, novel, or TV show that drew you to the trend in the first place? I answered a call for papers for the first academic conference to be held in conjunction with the International Vampire Film and Arts Festival in Sighisoara, Romania, in May of 2017. From a horror fan and writer’s perspective, I love vampires. However, I have been dismayed at the absence of black females in vampire culture. I want to see monsters who look like me. As an academic, I realized I could examine this point closer. What I found is that although we can point to a few black females as vampires in literature and film, such as Aaliyah as Queen Akasha in Queen of the Damned, Grace Jones as Katrina in Vamp, and the Amazonian Coven in Twilight: Breaking Dawn, these characters were flat. 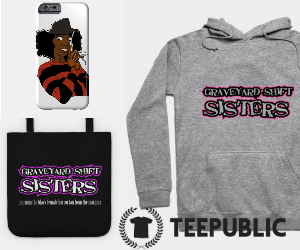 While I thought it was exciting for them to have been vehicles for black women to show up in vampire culture, none of them were three dimensional. Their blackness did not inform their characters in any way. Had their skin color and country of origin been changed, the characters would have remained largely the same. As depicted, they were interchangeable. More nuanced, and yet still a little problematic, were Angela Bassett as Rita Veder in Vampire in Brooklyn, and Emayatzy Corinealdi, Chantal Lashon, Serria Tawan, and Erin Frigo as the main characters in Vampz, as well as Vonetta McGee as Luva/Tina in Blacula. Rita Veder was allowed some agency when dealing with Maximillian, in that she was allowed to choose whether or not she wanted to become a vampire. However, she ultimately was only allowed to exist in terms of having a romantic relationship with Maximillian or Justice. 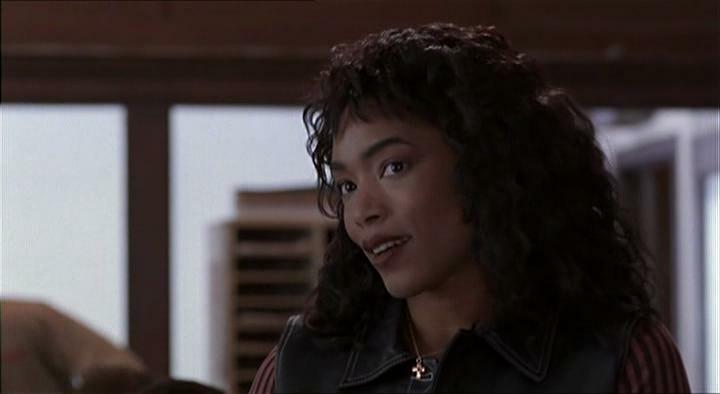 I was really excited about the black, female vampires in Vampz, because this was a movie I’d never seen, and they exuded uninhibited sexuality that they could wield on men and women alike. Yet even their characters existed as caricatures of sexily clad women performing for the male gaze. Luva/Tina is black royalty and true to the cross genre of Blaxploitation, she fought for her man, but her virtue also required protecting. Although all these women were portrayed as powerful women, their characters only exist as the edge of a world of possibilities where their blackness and unique expressions of black femininity could speak. In literature, I found more dynamic characters in Shori, from Octavia Butler’s Fledgling, Gilda, from Jewelle Gomez’ The Gilda Stories, and Jessica Jacobs-Wolde, in Tananarive Due’s My Soul to Keep. Shori’s blackness is integral to the entire novel because she was manufactured with dark skin and has a natural advantage over other vampires who are sensitive to the sun. Jessica is a multi-dimensional character whom we get to see perform as mother/wife/sister. Gilda is a black lesbian vampire whose very existence combats what we are often led to believe is or can be powerful. The fact that these characters are found in literature ultimately led me to the idea that black, female speculative fiction writers have been giving us these characters for years, even if they don’t show up in film or are not heavily touted. 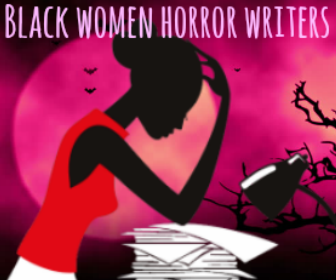 If we want to see more of these black female characters in vampire culture, as in most other speculative fiction, it is crucial that the gates to publishing open to more black female writers. So there’s a academic book about the film Get Out that’s forthcoming? Let us know as much as you can about it and particularly, how after watching the film, you chose your topic to write about in regards to it, and how does it add to the massive amount of perspectives already written. Yes! The collection of essays was curated by and will be edited by Dr. Dawn Keetley at Lehigh University. 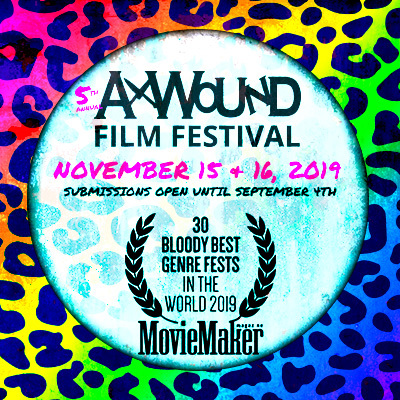 From the paper call, Dr. Keetley was “particularly interested in articles that place Get Out within the horror tradition and address the film’s social/economic/cultural/political context”. The proposal for the book is currently under review. I have seen, and eagerly devoured, many pieces written on Get Out and I wanted to write my own. I was especially drawn to the way the binds of black femininity are displayed in the character of Georgina. My focus is on how black femininity serves as additional binding for Georgina, along with the literal binding of her mind and body. She not only has to continue to navigate the real horrors of being a black, queer female that she likely experienced before Rose’s betrayal, but she later has to fight against her enslaved mind that keeps her body captive. Georgina also displays pressure to try to rescue Chris, even as she can’t quite rescue herself. Mainly, I want to explore how Georgina is expected to navigate these terrors all from within the framework of the “strong black woman” who has to try and save others when she can’t save herself. Many horror fans get asked a lot about “gateway horror” or kid-friendly horror. Having children of your own, what kind of horror films or television series do you like to watch with your family if you do? 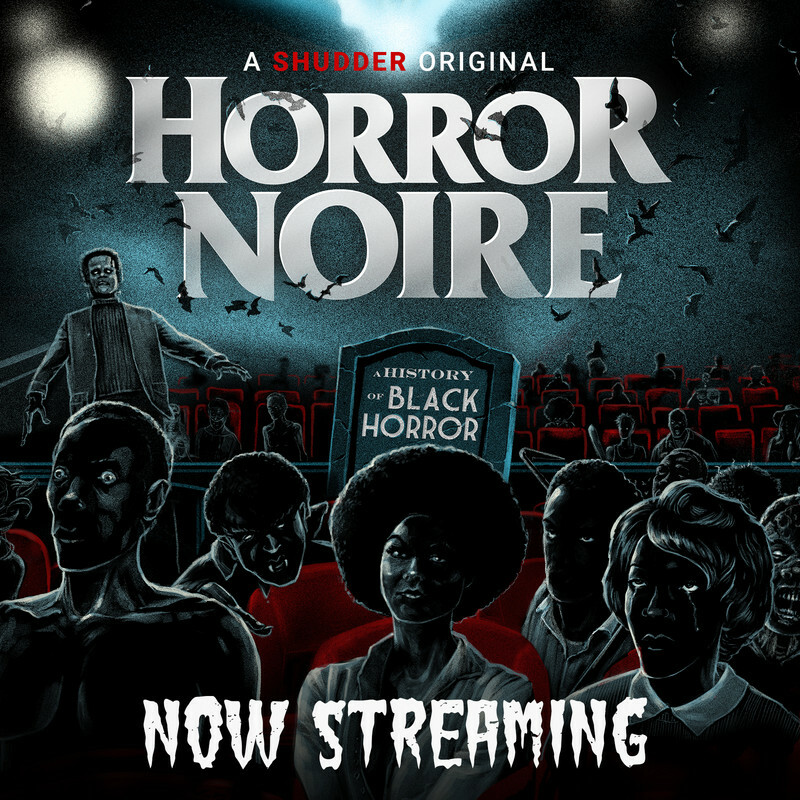 How do you feel horror can be entertaining and bring a family together? I have a blended family of eleven kids, and out of that number, only two really appreciate horror consistently. The others may or may not watch certain horror films or read frightening books. I have one who is creeped out by the Twilight movies and yet she devours fantasy/horror young adult novels. The two diehards two are eleven and fourteen, so I do have to try and gauge the terror level before I allow them to watch the movies. When they all were younger, we watched shows like my beloved The Twilight Zone and the Universal classics, because compared to today’s standards, they’re completely G rated. I’ve also shown them George Romero’s Night of the Living Dead because I think it’s an awesome movie to teach children about social issues and basic life skills like teamwork and cooperation. Of course we’ve watched and read some Goosebumps books and shows. At Christmas time, one of our new family favorites is Krampus. Recently, we allowed the thirteen and fourteen year olds to watch the remake of It and they loved it. One of our eleven year olds loves the old time radio shows Lights Out and The Whistler, but she won’t watch horror movies or read the stories. I offer the stories to them to see if there are any takers. Sometimes they entertain me and my weird proclivities, and sometimes they don’t. They all do know that as I make these offers, I’m truly offering them a part of me and I think that makes them a little more interested in what is the norm in our household. Horror can be entertaining and watching a scary movie or reading ghost stories have been our family activities on many a night. The volume on Get Out discussed has been contracted with Ohio State University Press in the New Suns series edited by Dr. Susan M. Morris and Dr. Kinitra D. Brooks.